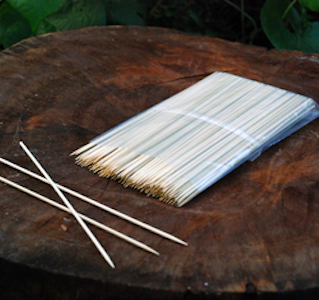 Bamboo skewers are ideal for Yakitori grilling due to their high heat resistance. The 6″ skewers fit perfectly on our Yakitori grill for small cuts of meat and vegetables. Wildwoods traditional yakitori skewers ” Take Teppogushi” fit perfectly over our yakitori grills. Sold in packs of 100 pcs.